Do you trust your association colleagues as much as you trust your barista? From the moment you leave your house each morning to the moment you arrive at work, you trust a steady stream of strangers to act and behave in a manner that allows you to accomplish a variety of tasks. Whether you realize it or not, you plan your day based on your expectations of others’ behavior. Imagine your daily routine includes stopping at Starbucks on your way to work. 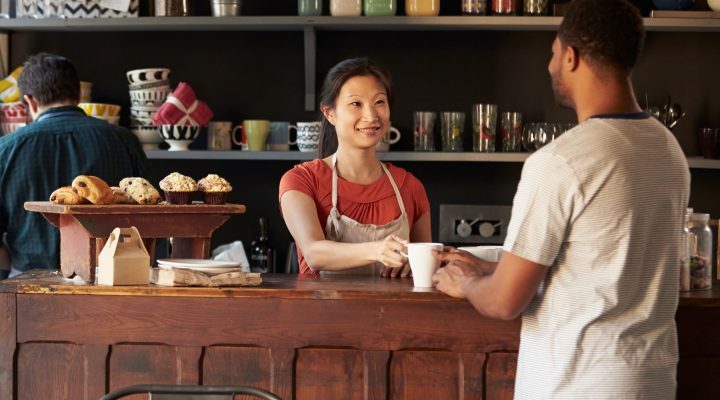 If you visit the coffeehouse during the early morning rush, you will most likely stand behind four or five other patrons before giving the barista your order. After paying for your Grande Americano, you walk to the end of the counter and wait for your order to be announced. Throughout this process, you trust that someone will not cut in front of you in line or purposely take your order instead of their own. You trust that the container labeled no-fat or low-fat milk does not contain whole milk. If you are carrying a cup of coffee and pass another patron, you expect them to give you a little room so that you won’t spill hot coffee all over yourself. If you want to try something new, you may even trust the advice of strangers to help you customize your order. Although there may be an occasional mishap, for the most part, you expect the experience of getting your morning cup of coffee to be the same every day. Familiarity and routine help build trust, as do knowledge and expectation of social norms. In fact, you can travel to another state and go through the same scenario with a local coffeehouse. You trust that the patrons in that unfamiliar coffeehouse will act like those in your usual spot. Trust and an understanding of the roles and responsibilities of the people you interact with are essential to accomplishing tasks. The bigger the task or initiative, the more vital for both sides to trust and have set expectations. As relationships and levels of trust deepen, you may be more willing to try something new and even risk failure because you know how others will respond. This brings us to associations and the relationship between volunteer leaders and the staff or between the national organization and its chapters or component societies. Associations cannot reverse a trend of declining membership, revenue, or engagement if there is a lack of trust and understanding between the individuals who set the organization’s strategic direction and those asked to implement the strategies and tactics. Without a culture of trust, an association is unable to pivot to remain relevant in a rapidly shifting landscape. To learn about the other four characteristics of a nimble association, check out my new book, Pivot Point, to be published later this month by ASAE. This excerpt is adapted from Sheri Jacobs’ book Pivot Point: Reshaping Your Business When It Matters Most (to be published August 18, 2018), which is now available for pre-order. ASAE member and quantity-purchase discounts are available.